If you are looking for roller coaster thrills, water slide chills on a balmy day, or other amusements, Louisiana offers a few places that would fit the bill. If you live in or have visited Louisiana, you've probably been to or heard of the state’s largest destination, Dixie Landing and Blue Bayou, a combination amusement park and water park. Find information on that popular spot, plus other parks in the state. Located in City Park, New Orleans’ downtown recreation area includes a lovely old carousel, a Ferris wheel, a Tilt-A-Whirl, bumper cars, and a modest assortment of other rides. The park's sole roller coaster, the Ladybug, is low-profile and not too aggressive. The rides are a combination of kiddie rides for young children and family rides that are mildly thrilling. Visitors can either pay one price for unlimited rides or purchase tickets a la carte for the rides. Carousel Gardens Amusement Park is open from late May through early November. The combination water park and amusement park charges one price for unlimited rides on both the water slides and other water park attractions, as well as the dry rides. The good-sized outdoor water park includes Azuka, a funnel ride, Voodoo, a bowl ride, the speed slides, Lafitte's Plunge, a wave pool, a lazy river, and a large children's interactive play area. The amusement park is medium-sized and includes Ragin' Cajun, a boomerang steel coaster, Hot Shot, a drop tower ride, and The Splinter, a log flume ride. The park also include a selection of kiddie rides. Dixie Landin' and Blue Bayou are open from May through September. The small, municipal outdoor water park includes attractions for young children as well as older visitors. Activities include two lazy rivers, two interactive water play areas, a bowl slide, and a few other water slides. Sulphur Parks Waterpark is open from mid-May through mid-August. 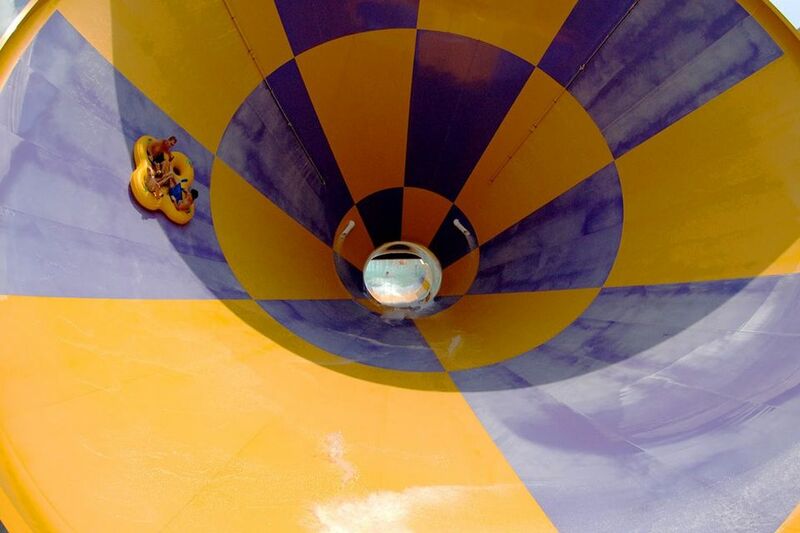 Part of a chain of outdoor water parks based in Texas, the sole Louisiana location is a mid-sized park. It offers a wave pool, lazy river, and a number of water slides, including Flash Flood, Bonzai, and Cannon Ball. There are also areas for young children, a lagoon, and sand volleyball. Splash Kingdom is open from mid-May to early September. Like Carousel Gardens Amusement Park, Storyland is located in City Park. The charming park is geared to families with young children. It features storybook dioramas from the "Three Little Pigs," "Cinderella," "Alice in Wonderland," and 'Pinocchio." Admission to Storyland is included in the price to enter Carousel Gardens and vice versa. Other attractions at City Park include boating, birding, hiking, and biking rentals at Big Lake, the New Orleans Museum of Art, fishing, the New Orleans Botanical Garden, Couturie Forest, Equest Farm, sports fields, the Louisiana Children’s Museum, and Bayou Oaks Golf. City Splash, a water park, is planned for the park. If you want to venture outside Louisiana, try visiting some parks in neighboring states. There used to be some wonderful amusement parks in Louisiana, which, sadly, have been lost to the sands of time. New Orleans used to host quite a few, including White City, which boasted three coasters and closed in 1912; West End Park, which had two coasters and closed in 1903; and Scenic Park, which offered one coaster and closed in 1914. Perhaps the most famous (and surely enduring) park, for which older folks hold fond memories is Pontchartrain Beach. It entertained visitors from 1939 until it closed in 1983. The city didn't have a major amusement park again until 2000 when Jazzland opened. Among its coasters was Mega Zeph, which was a tribute to Pontchartrain Beach's famous ride, the Zephyr. The park was bought by Six Flags, which renamed it Six Flags New Orleans. Hurricane Katrina caused extensive damage to the park in 2005, and it never reopened. What Are the Best Places to Visit in Louisiana With Kids?